For other people with the same name, see Freddy Rodriguez. 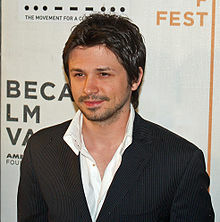 Freddy Rodriguez (born January 17, 1975) is an American actor known for playing the characters Hector Federico "Rico" Diaz on HBO's Six Feet Under and El Wray in Robert Rodriguez's Planet Terror. In 2007 he was a recurring cast member on the series Ugly Betty as Giovanni "Gio" Rossi. He starred as Dr. Michael Ragosa in the first two seasons of the NBC drama The Night Shift (2014–15). In 2016, Rodriguez became a main cast member in the CBS courtroom drama Bull. Rodriguez was born in Chicago, Illinois, to Puerto Rican parents - a housewife mother and a janitor father. He was raised Roman Catholic in Chicago's Bucktown neighborhood. When he was 13, Freddy discovered a theater program for inner-city youth, which led to a scholarship to the Pulaski International School of Chicago, which he attended through 8th grade. His first recognizable roles in films came in 1995, as Pedro Aragon, Jr., in A Walk in the Clouds with Keanu Reeves and Giancarlo Giannini and as a Vietnam veteran in Dead Presidents with Larenz Tate and Chris Tucker. Rodriguez went on to roles such as Ninja in The Pest, an obnoxious jock in Can't Hardly Wait and Carla's brother Marco on Scrubs. As a voice actor, he contributed the voice of Más y Menos on Teen Titans. Rodriguez portrayed Federico Diaz on the hit HBO series Six Feet Under throughout its five seasons. For this role he received two Screen Actors Guild Awards for Best Ensemble in a Drama Series, an Emmy nomination for Best Supporting Actor in a Drama Series, and a further three SAG nominations (also in the ensemble category). In 2005, Rodriguez played a vicious inner city drug dealer named Hector in the movie Havoc, and a jockey in the film Dreamer, co-starring Dakota Fanning. In 2006, appeared in the film Poseidon, as a waiter, as well as played Reggie, a character who only exercised one half of his body, in M. Night Shyamalan's film Lady in the Water, and starred alongside Eva Longoria and Christian Bale in Harsh Times, his first leading role in a major theatrical release. He was seen in an episode of the hit hospital television show ER, where he played a dying comic inspired by Bill Hicks. Rodriguez starred alongside Roselyn Sanchez in the 2003 movie Chasing Papi, playing "Victor" (directed by Linda Mendoza). He played busboy José Rojas in the 2006 film Bobby. He starred as El Wray in Planet Terror, Robert Rodriguez's portion of the double-feature film, Grindhouse (2007), and played the role of Gustavo Brambila in the true-life story Bottle Shock (2008). He appeared in the music video for the Santana song "Into the Night" and also made a cameo appearance as a pilot/flight attendant in the music video for the song "Glamorous" by Fergie. He starred in the popular video game Saints Row as the voice of Angelo Lopez and in the latest Merry Mixit Gap Christmas Commercial videos. On July 13, 2007, Rodriguez was added to the cast of the ABC comedy series Ugly Betty, in which he played Giovanni Rossi, a sandwich shop owner who became the love interest for Betty Suarez (played by America Ferrera). He made his debut on the series at the start of the second season, appeared in an episode of the third season and reprised the role again late in the fourth season, which was the series' final one. He played the character of CIA special operative Rick Martinez on the CBS show CHAOS. He also starred in the NBC summer series The Night Shift as Michael Ragosa. Since 2016, Rodriguez has starred as attorney and former New York City prosecutor Benny Colón in the CBS courtroom drama Bull. 2018 Elena of Avalor El Mistico Episode: "The Return of El Captain"
1995 A Walk in the Clouds Pedro Aragon, Jr.
^ "Freddy Rodriguez Biography (1975-)". Filmreference.com. Retrieved 2013-02-20. ^ "In Step With: Freddy Rodriguez". Parade Magazine. March 30, 2004. ^ "From Zap2it (July 13, 2007)". Zap2it.com. 2007-07-13. Retrieved 2013-02-20. 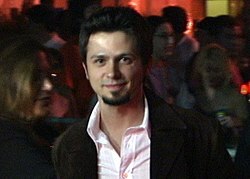 Wikimedia Commons has media related to Freddy Rodriguez.